The number of businesses using direct mail marketing now compared to how many used this medium 10 to 15 years ago is staggeringly higher. More and more marketers understand its effectiveness and are on the bandwagon - especially Mortgage Brokers. Years back the novelty of receiving an advertisement in your mailbox was such that any direct mail pieces were not only looked at but mulled over. Not so anymore. The term ‘junk mail’ was coined sometime since then and I’m sure you’ve thrown out your fair share of unread pieces enough to understand why. So, what can you do about it as a marketer? How can you ensure you get the biggest bang for your direct mail dollar? Now more than ever, you have to understand how to put together a direct mail piece. More than ever you have to really target your mailing to go to a specific market. And more than ever you need to be patient and learn how to campaign – because that is the key to success. Don’t get me wrong… direct mail is not dead – and I don’t see it dying any time soon. It is still the quintessential part of the largest company’s campaigns. Because it works. In this article I will teach you some of these three topics: ·	Designing a direct mail piece ·	Targeting your specific market ·	Campaigning A Great Design Many people think that the quality of any graphic design is determined by how aesthetically pleasing it is: Although making the card look good is important, this couldn't be further from the truth. The only true measure of any design, at least commercially, is "How well does it pull?". By pull we mean what type of response does it elicit? Does it pull in calls, or pull people into the store? In essence, does the design accomplish what it set out to do? From this fact it is not a reach to come to the conclusion that the merit of a graphic designer is based on the performance of his or her designs. You may be able to put together the most beautiful ad that the world has ever seen, but if it doesn't make the phone ring it isn't worth the paper that it is printed on. You need to make designs that are not only attractive but, more importantly, that get the response needed to turn a profit. 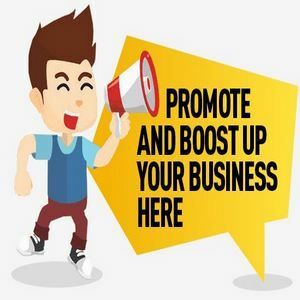 You want to ensure people see your ad and want your services. In short, if the ad doesn't make you any money, it’s not a good ad. To BE or Not To BE Easy. Say there is a monkey loose in your office and you can't seem to get any work done. The only solution is to catch the little distraction and FedEx him back to the jungle that he came from. Question: How do you catch a monkey? You have to get into his head, think like him. You have to “BE” the monkey to find out what is going to bring him close enough for you to catch him. Every potential customer is like the monkey. They are going to do whatever they want unless you can persuade them to listen to you. You have to get into their head, think like them, “BE” them. A monkey is a simple animal so you can probably get his attention with the stereotypical banana. Human beings on the other hand are extremely complex. Then you add in the fact that the mailing list is targeted and it can get quite challenging. To help you answer the question of what you should say in your ad, you should use three things: ·	Reasoning ·	Experience ·	Research Take an unrelated subject to your own industry – sometimes it’s better learn that way. Pick something. Say you have an upscale Italian women’s shoe boutique. You want to appeal to women that like that sort of thing. Get in her head. What would make her want to buy from you? Remember, she gets bombarded with advertisements every day. What can you say that really draws her in? How about “Tired of Wearing the Same Styles as Everyone Else?” Have a graphic that supports the message - show a fantastic pair of shoes or better yet a good looking woman with a great pair of shoes on. Now pretend you are a family man or woman with a household income of the $75k with revolving debt of $15K and you’ve got two kids! Kids can be pretty expensive. So, why would you like to refinance? Find a Specialized Mailing List If there is one thing I can’t say enough it is that the most important part of your mailing campaign is your mailing list. It is vital that you put the right amount of energy into learning about lists – who to mail to – so that your mailing efforts aren’t wasted. There are a few different ways that you can get an adequately targeted list. As always the first step is to determine who your target market will be. Say you want to market to homeowners. Good, now we have narrowed it down to only 291,324 people in your area. As a minimum, your mailing campaign should send to the same names three times. So all you have to do is send out 873,972 postcards at $0.185 per piece & you get the point. We need to narrow it down some more. So how do you accomplish the narrowing of your list? Many factors can be considered, including age, gender, zip code, annual salary, profession and number of children are some of the more common qualifiers. It may take a while to figure out what combination works for your specific product. Don’t worry about political correctness when considering whom you should mail to.